Acclaimed singer/songwriter, Niki King, honours the music of jazz and blues icons; Etta James, Nina Simone, Billie Holiday, Tom Waits, Ella Fitzgerald and more in this heartfelt, bold and beautiful new show. 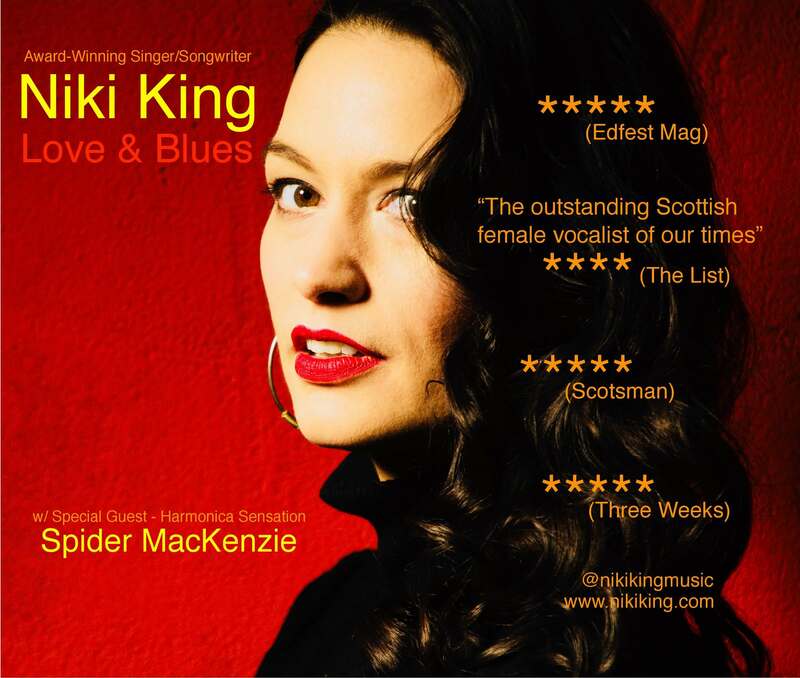 Winner of the UK Perrier Jazz Vocal Award, Scottish Style Award and Spirit Of Scotland Music Medal, Niki King has released five albums and performed in leading jazz venues around the world including The Blue Note (New York and Tokyo), The Jazz Café and Ronnie Scott’s, London. Highlight performances include opening as special guest for The Average White Band, Al Green and Gregory Porter. King’s exciting new band features a mix of highly revered jazz, blues, and folk musicians including; Marcus Ford (guitar) Paul Gilbody (double bass) Mat Clements (percussion) and special guest (blues harmonica sensation) Spider MacKenzie. King's powerful performances have garnered numerous five-star reviews and she has been hailed as 'the outstanding Scottish female vocalist of our times' (List).